Scratched, worn or damaged floors can severely affect the overall look and feel of your home or business, for the worse. Not only are such floors unpresentable, but they may also cost you dearly in maintenance and repair fees later down the track. This is particularly the case when it comes to marble flooring, which looks best if maintained to a high standard but can also suffer from the most damage due to its soft density. When it comes to marble polishing in Sydney, you need to be sure that you’ve entrusted the job to an experienced, professional and reliable team. PCM have spent over 20 years building our enviable reputation as one of the best marble polishing teams in Sydney, providing unparalleled services throughout the region. Marble is known for its beautiful finish and ability to attain a very high polish. When you get your marble professionally polished, you can bring out its natural beauty, allowing the light to penetrate the stone’s surface and illuminate your flooring. While some varieties of marble are hardier, marble will become scratched and lose its lustre without the right care, especially in high-traffic areas like entryways, reception areas and foyers. 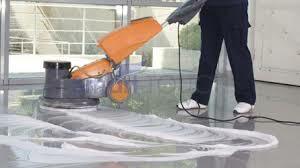 Additionally, if your marble was not properly sealed in the first place, it can easily soak up spills and stains. PCM provide unmatched marble polishing in Sydney, being able to clean, strip, seal and grind marble floors for homes and businesses in the region.